Our trip to Venice was just fab - a city with a uniqueness and mystique like no other. Prof. Eva Gratl was our expert guide and gave us an insight into history, art and architecture. 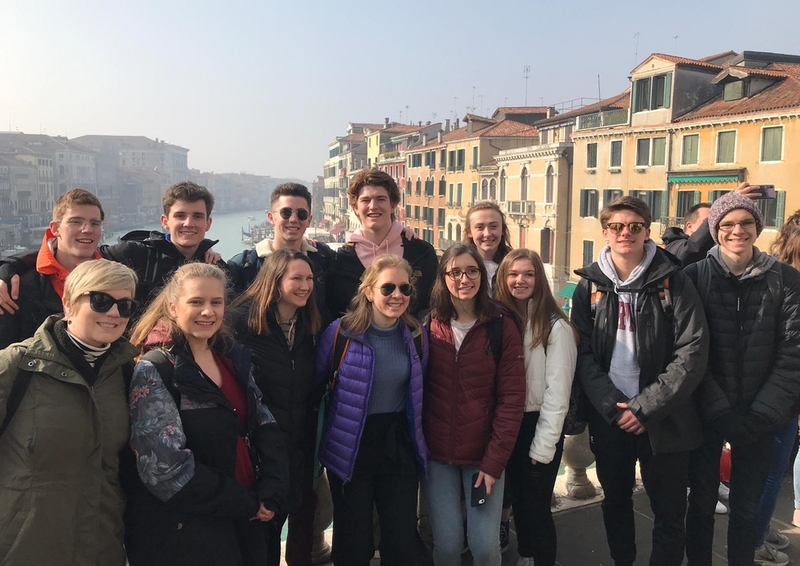 Our first stop was the Rialto Bridge being the heart of Venice. The famous fruit and fish markets nearby are an experience. From there we walked to Piazza San Marco, known as St. Marks Square and called the drawing room of Europe by Napoleon. 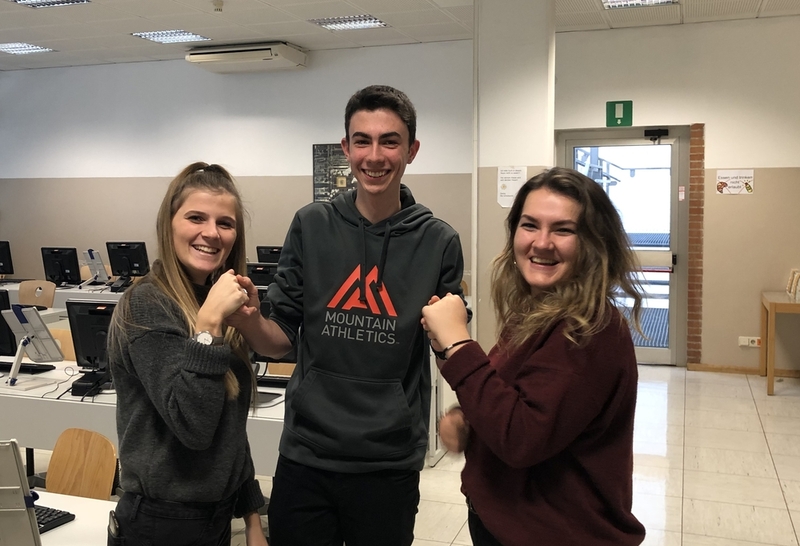 Die Klassenkolleginnen Petra Thaler (links) und Lorita Isaki gratulieren: Fabian Giovannini (Mitte) ist der neue Landesmeister im Wettbewerb der Politischen Bildung. 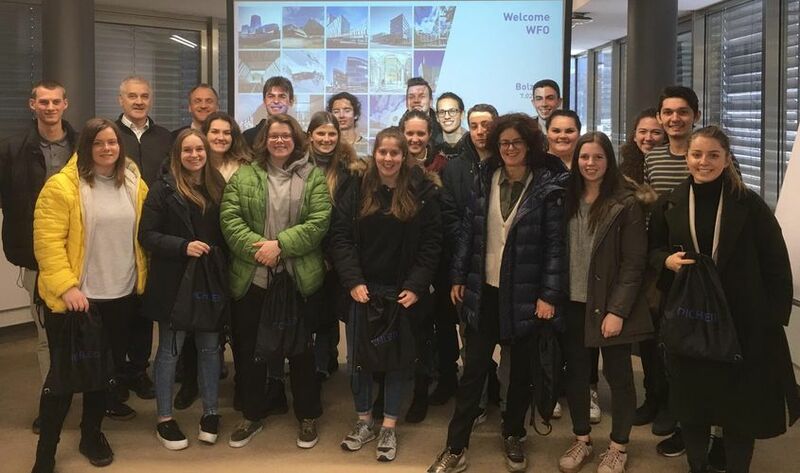 Im Vorjahr hatte der Schüler der damaligen 4 B-WS Platz drei belegt, nachdem er eigens das Betriebspraktikum in Mailand für einen Tag unterbrochen hatte. Heuer konnte er sich um zwei Plätze steigern und das Finale für sich entscheiden. Im Wettstreit der besten 100, der zeitgleich online in Bozen, Meran und Brixen durchgeführt wurde, setzte sich der 18-Jährige aus Laag vor Hubert Auer durch. 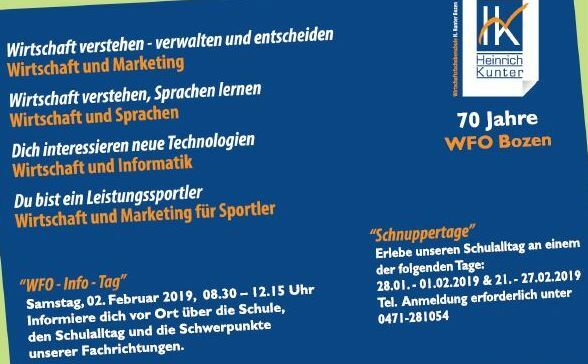 Mit Rang drei komplettierte Friedrich Hainz (4 A-WS) das hervorragende Abschneiden der WFO-ler. On 7th February we visited the company Stahlbau Pichler which is specialized in the production of steel structures and aluminum façades, what allows them to offer the full service of producing the whole envelope of a building. The main production headquarter is in Bolzano and we went there to take a tour through the company and to find out more about their activity. Mr. Markus Walder, Brand Marketer at Pichler, made a guided tour in English about the company, showing us round the headquarter and giving us an insight in this international and prestigious South Tyrolean company. 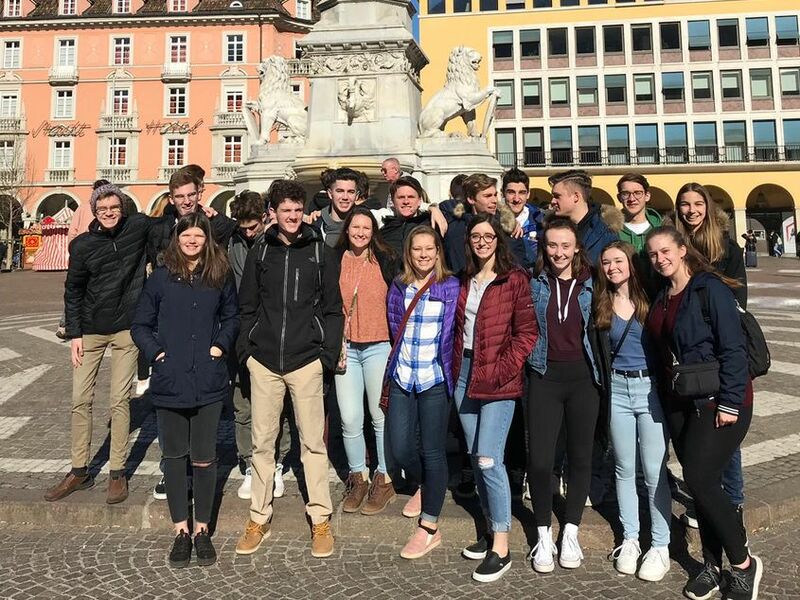 It gives us great pleasure to welcome our American exchange students to the WFO in Bolzano. The exchange of ideas, the fostering of understanding across geographical and cultural devides is so important. We hope that they take time to explore and enjoy!